It is important to take the correct amphetamine dosage. 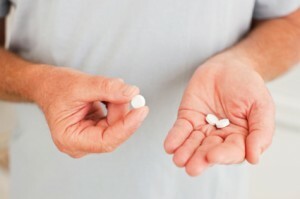 The amount of amphetamine that is contained in a normal dosage of medication depends on various factors including the type of condition that is being treated, the age of the user, the weight of the user and the severity of the condition that is being treated with the amphetamine based drug. Dosage information is different for every patient and for every disorder so it’s important to ALWAYS consult a doctor prior to changing a dose, taking a dose or otherwise using amphetamine. Keep in mind that amphetamine use against doctor’s orders or in a manner that does not coincide with the proper use of the drug can and will lead to amphetamine addiction. Pay close attention if you or someone you know is taking amphetamine or an amphetamine based drug to ensure that the signs of addiction or possible side effects of amphetamine have not become severe enough to warrant the need for medical treatment. Amphetamine is commonly used in the treatment of both pediatric and adult narcolepsy but most often it is used in adult treatment. The initial dose of amphetamine that is commonly prescribed for the treatment of narcolepsy in adults is 10mg per day but this dose may be increased at weekly intervals up to a maximum dosage of 60mg per day. The doses of amphetamine are typically given in intervals of about 4-6 hours to prevent adverse reactions such as insomnia or lack of food tolerance which could lead to anorexia. For children, the amphetamine dosage that is commonly prescribed tends to range somewhere between 2.5mg and 5mg per day. This dosage can be increased up to a maximum dose of 40mg per day for extreme cases of ADD or Narcolepsy but in most cases does not exceed about 20 mg daily. The dose is split into two or three doses throughout the day to prevent extreme reactions in children.